Oh friends…I share only what I’m really excited about, but I feel like I might have done you a disservice with all my bouncing around and yelling about books – how will you know which ones I’m really, really, REALLY keen on? The ones you MUST OWN? The ones you will remember FOREVER? 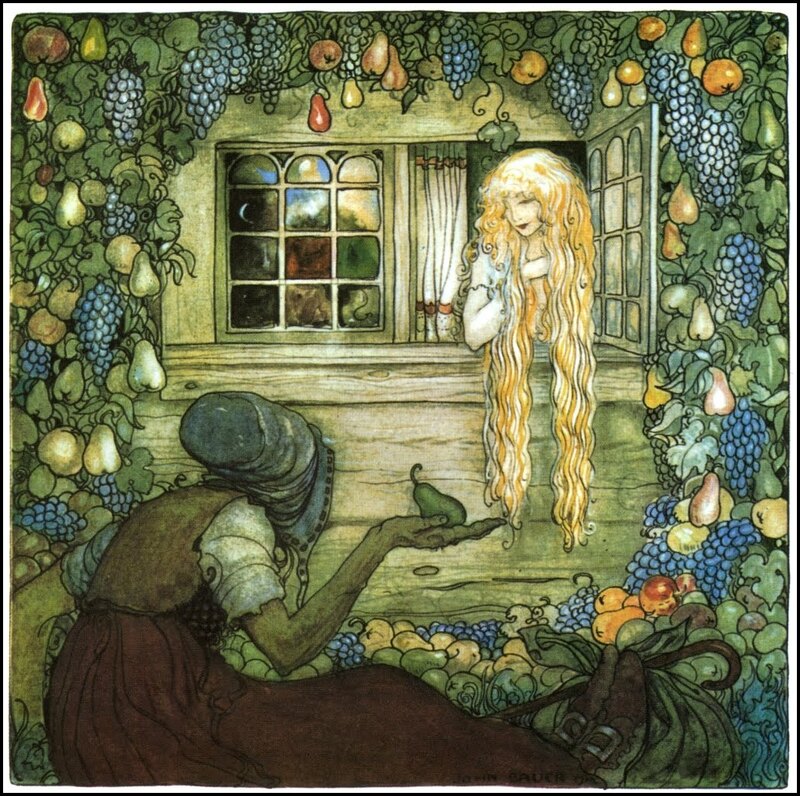 'Great Swedish Fairy Tales' was given to me when I was eight years old…it’s definitely showing its age…if I had to save one book I own from my collection, this one might be it. It would be a fight to the finish between that and 'Canadian Wonder Tales'. 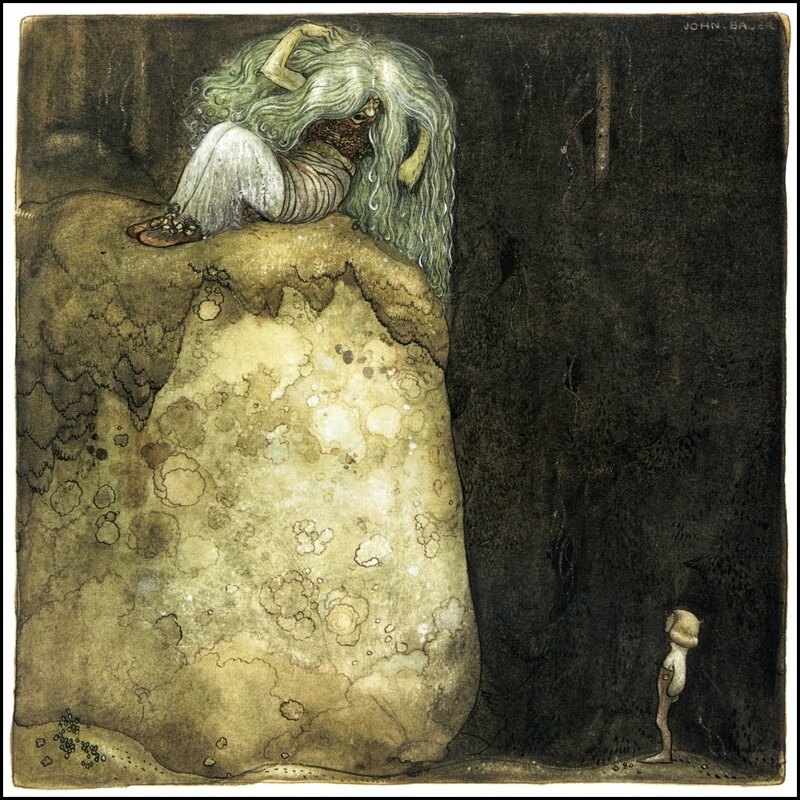 I was going to photograph my book for you, but then I found this site with perfect scans that will show you in so much better detail, the fantastic that is John Bauer’s art. Go see! There’s a ton more scans over there! 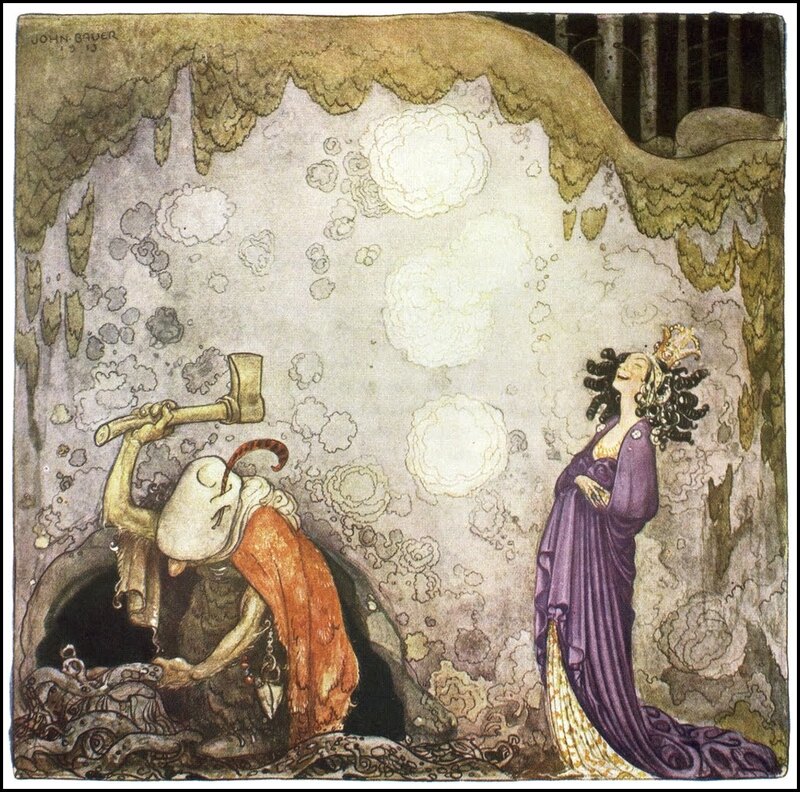 I have the same reaction to his work now as I did when I was a child…he paints such a vivid world of enchantment and each illustration is more incredible than the last. 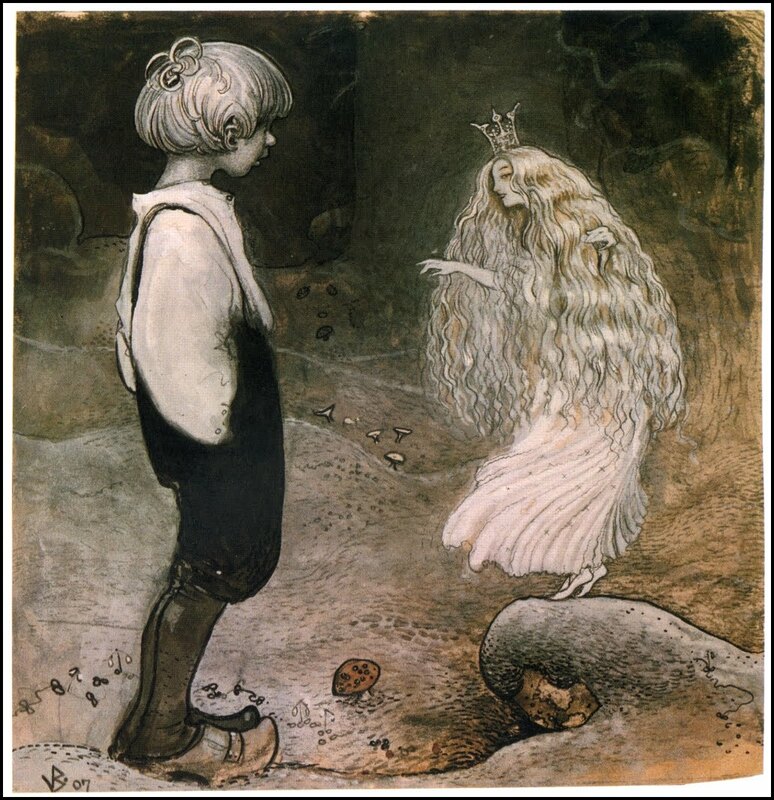 To a little girl growing up on Maui, nothing seemed more magical than the land of ice and snow and trolls and wondrous beasties (second time I’ve used that word this week for anyone keeping track). 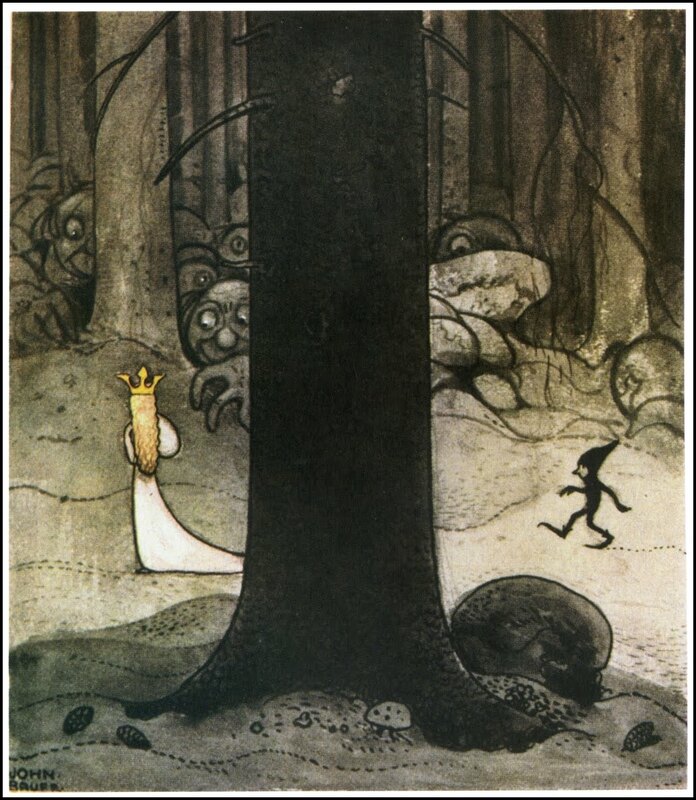 Perhaps that’s why I was equally entranced by the Moomintroll books as well. To this day, all things Scandinavian just thrill me to the core. Take a peek and tell me 1) Have you read this INCREDIBLE book? and 2) Can you believe this art? I mean really, can you believe it? 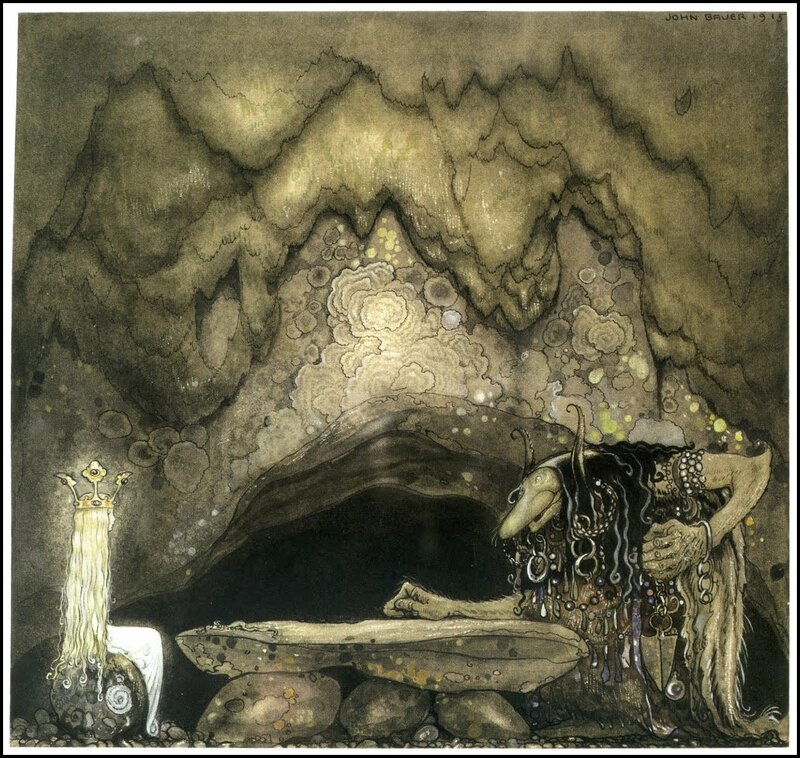 --When Mother Troll Took in the King's Washing, 'Great Swedish Fairy Tales'. Goodness, that book looks INCREDIBLE! What age do you think it's best for? You mentioned that you read it when you were 8, is that a good starting place? Lovely! 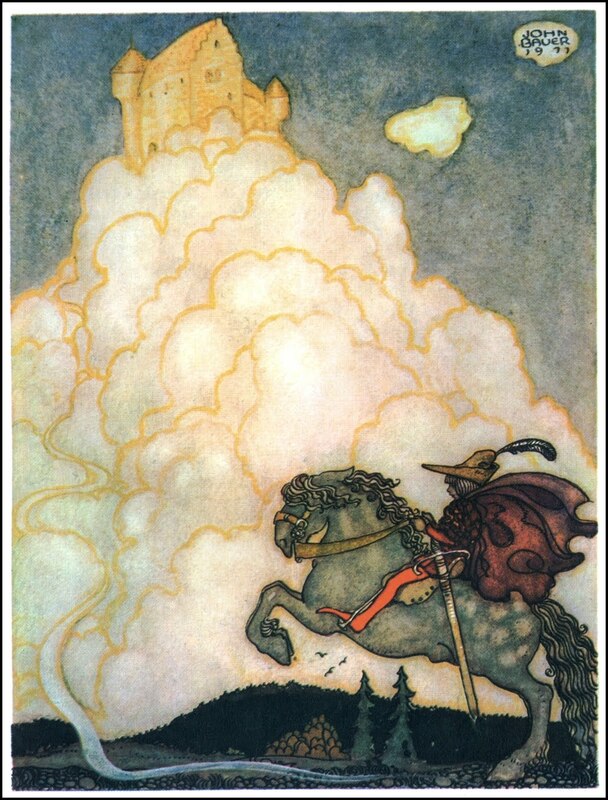 I love John Bauer illustrations. Wow that book looks fantastic. I would totally get the new hard copy as well. No discussion! And what if it becomes out of print? No, you must get it! Oh this is fantastic, and right up my alley. My daughter is still very young, but I always wonder which books I would want her to read as she grows up. I grew up pretty fast. I was already reading Agatha Christie and young adults at nine years of age, but I def. 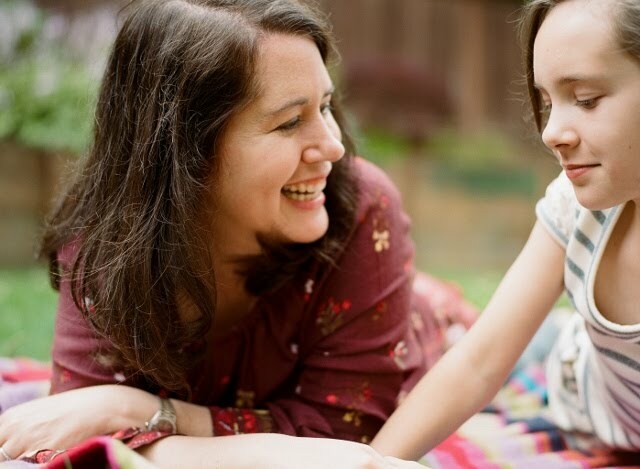 want her to pace herself and learn about magic and folklore stories around the world. I will get it! Oh Miss Patricia, that makes me so happy to know that this book will be in your life. I have purchased several special books for Julia that are too advanced for her, but they will be on the bookshelf waiting for her...I had a stunning realization the other day that some books I had been saving since she was a toddler -- she is now ready for! I read a crazy thing when I was little. Mostly I read the standard greats, Oz, fairy tales, Narnia, Little House on the Prairie etc etc -- and somehow when I was 9 or 10 I read 'The Omen', you know, like the horror film? ??? How did that even happen? I have no idea. Scared myself silly. do not DARE replace your old copy!! those food stains are your life!! i am ordering this book right now. i am obsessed with all your book pins on pinterest. you are like the book fairy. in fact you should open a business where you sell all of these old books and call yourself the book fairy. You've sold me! So I want to know the back story of how this book came to be in your life- it was given to you when you were eight, by your father. Is there more to the story? Nope, no back story -- my dad just gave me some rad books, and he's a believer in giving books as gifts -- which when I was little I wasn't too jazzed about, but now I'm the same way! An aunt gave me the Anne of Green Gables series and it was the best gift of my life! I would believe that review, some of those Amazon reviewers are sharp as tacks in their knowledge of reprints and whatnot. I think I'll go change my link to that other one! Wow! The artwork is incredible. It just glows! It was my father! Which is one of life's enduring mysteries, b/c he and I have always had a challenging relationship and I was always closer to my mother. But he did/does have very good book taste, and gifted me with this, and Uncle Wiggly, and the Mother West Wind books, as well as Canadian Wonder Tales. He loves classic books and liked to pass on his copies of his own childhood books, like Hans Brinker and Treasure Island. Oh, I remember Hans Brinker! (Although I can't remember if he was an author or the little boy with the old skates?) I have to get this too, and endure my husband reading through our visa bill in a month and saying "do we REALLY need all these books?" I was just wondering whether to get the folk or fairy tales, so thanks for the update! We have the same problem!! Some women buy handbags and shoes. I buy books.